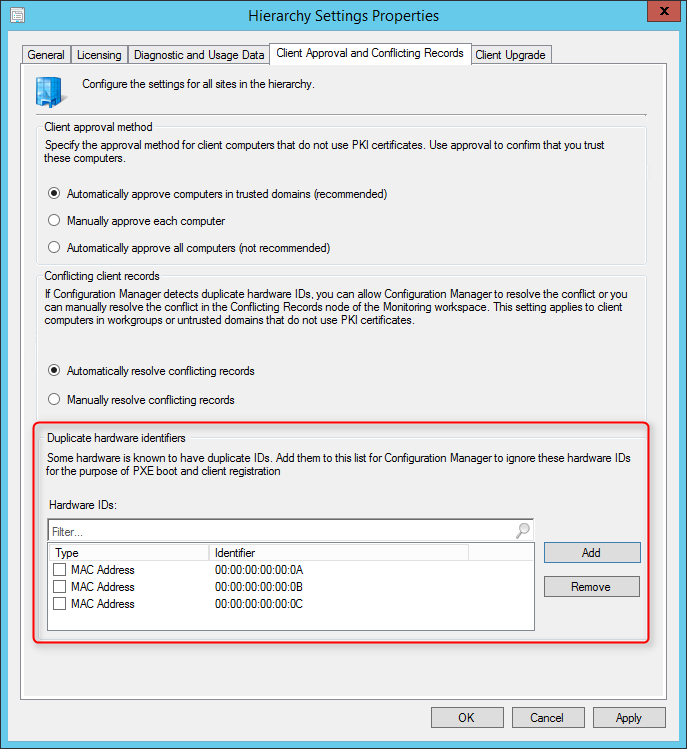 Prior to SCCM 1610, you may had an issue when trying to image multiple Surface or ultrabook devices using the same USB to Ethernet Adapter. A USB adapter is needed because the devices lack a built in Ethernet port. This issue could also apply when trying to image Surface devices using the Docking Station. 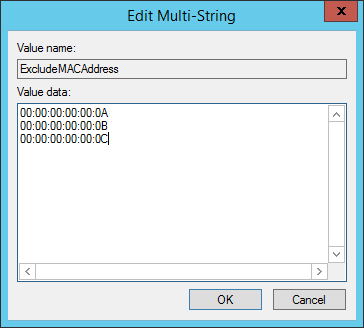 Following a UserVoice idea, it has been fixed in SCCM 1610 and it’s now easier to ignore a particular MAC Addresses from an OS deployment. The problem is that MAC Addresses are unique identifiers of network interfaces but when reusing the same USB to Ethernet adapter for multiple deployments, your MAC Address is not unique. SCCM think that’s the same device and your device don’t receive the Task Sequence. The solution is to add each MAC Address of the USB Adapter to the list of Mac Addresses to be excluded from Data Discovery. Another nice addition from the development team in order to facilitate your deployments. We encourage to fill an UserVoice item when you have suggestion to make SCCM better. This is a great example of suggestion to production implementation and another reason to upgrade to Current Branch as soon as possible. Whe used the Prior version and now have found the “new” version. do i now need to migrate the old MAC’s to the new destination. can i delete the old Values? can i delete the old key in registry? To exclude SMSBIOS GUID you need to use BannedGUIDs registry value instead of ExcludeMACAddress one. Value: GUID strings, with one string per line. The correct format is as follows: 1acbf447-3993-e543-a92a-fadb5140f1c8, which should match what you see when you perform a PXE boot on a client. Double click the bottom right square on the cell to autofill the formula down, copy and paste the results into PowerShell and run. Has anyone found a way to import a large number of MAC addresses? We have a lot of USB-Ethernet dongles that get re-used, and I’d love to be able to just import these. Does this method work when using USB media to access the task sequences? Or does it only work for PXE deployments? Hi. I see now in 1610 when I add new Mac Addresses using the Hierarchy settings, they are not added to my existing list in the registry, so apparently this new method utilizes a different location to store these. That raises a couple of questions for me. * Do the items in the ExcludeMACAddress registry key need to be added instead using the new method, or will they be concatenated with those in the new method? * Is there a way in 1610 to add a lot of addresses other than typing them individually into the Console Heirarchy settings? Thanks very much for this informative article. I have confirmed that this does work. Hi Evan, The term ‘Set-WMIObject’ is not recognized as the name of a cmdlet… How do you do? 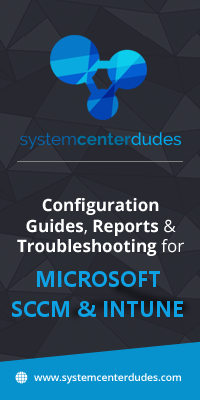 you have to install the sccm powershell cmdlets, and then run the powershell from inside of sccm console. the button in the top left of the console has the “connect via powershell” button. seems like set-wmiobject is depreciated, and possible replaced by set-wmiinstance. still researching. you still need the cmdlets. We are currently using 1606, and although the “Prior” method of adding MAC addresses via the Registry is helpful, the article above doesn’t provide an example of excluding machines via a SMBIOS GUID. I see this options is available via the Console in 1610, but can this be done using the Registry example as well? In our case, the SMBIOS GUID option is necessary because we image MacBook’s that don’t have unique SMBIOS GUID’s (they are all identical) as well as ASRock motherboards (which also have identical SMBIOS GUID’s in specific models). Excluding via SMBIOS GUID would be helpful to us if it can be done using the Registry example above. Does the 1606 or Prior method work for 2012R2? That would solve a huge problem for me until I upgrade.